What to do, where to find us, and how to get here.? You will never regret you visited us. Hotel to Stadium: 8 minutes. 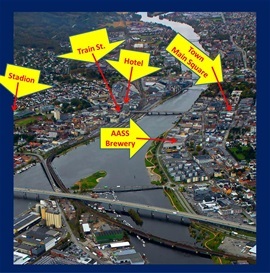 Hotel to AASS Breweri: 14 minutes, across Town Bridge. Hotel to City Main Square: 10 minutes, across Town Bridge. 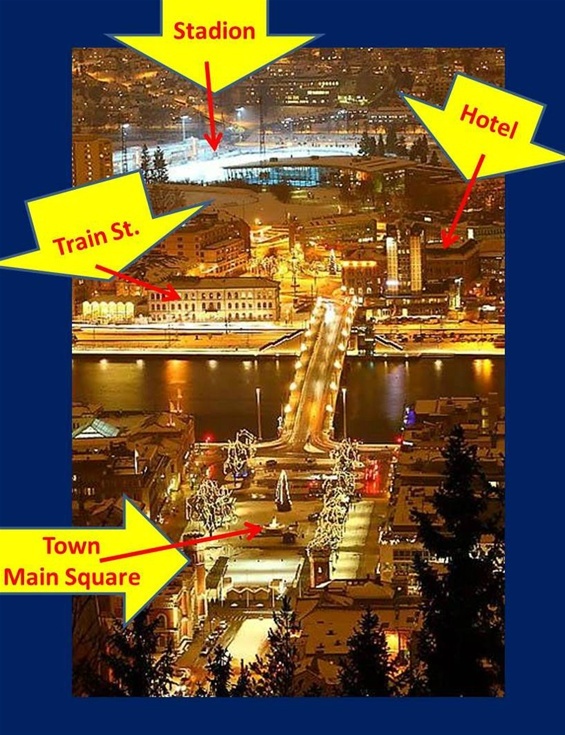 Bandy in Drammen, works excellent without car or bus. Everything you need, is in a reasonable walking distance. If anyone is in need of transport, it may be solved somehow. 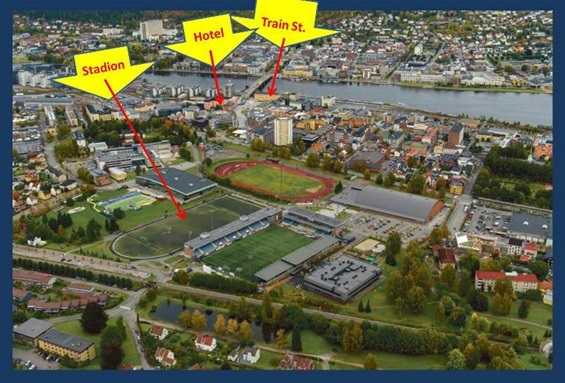 Marienlyst Stadium highlighted in Christmastime. Everything in walking distance. 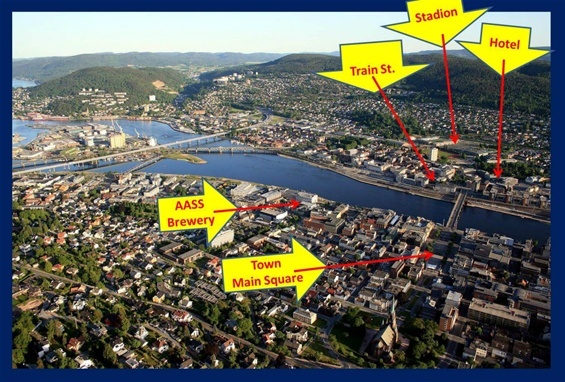 Welcome to Drammen.